A super-luxury residential freehold development reaching 54-storeys into the sky. 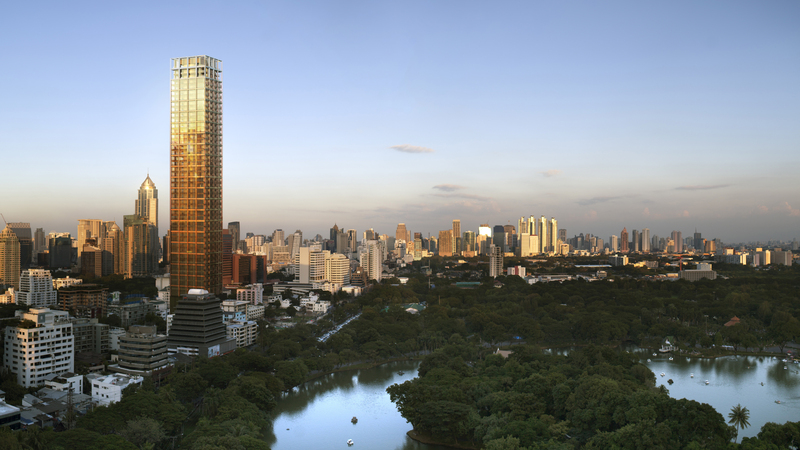 The development is centrally-located on Langsuan Road and within walking distance to Lumpini Park. Nimit Langsuan is designed to the highest standards, comprising 187 super-luxury residences together with roof top private club. The residences at Nimit Langsuan range in size from 78 square metres to 617 square metres, most with 2-4 bedrooms, and with ceiling heights of three metres and higher.